Hepburn dazzles as the bubbly, impulsive girl-about-town, whose diminutive stature belies a larger-than-life screen presence. Meanwhile, George Peppard’s smouldering frustration and palpable seriousness as writer Paul is the perfect complement. Holly’s madcap antics and the resultant situations she finds herself in are a delight to watch, as is the constant banter. Underlying the comedic elements, however, is a sense of melancholy – Holly was a child bride who abandoned her home town and is now trying to save up money to support her brother Fred when he leaves the army. There is an element of vulnerability to Holly – it is implied that she’s working as a prostitute, and she at times appears to be just a young woman overwhelmed in a big, bustling New York City. The film concludes on an entirely different note to the novella – while I’d like to avoid spoiling it completely for those of you reading this, suffice to say it ends on a far more optimistic note, as befitting a romantic comedy. 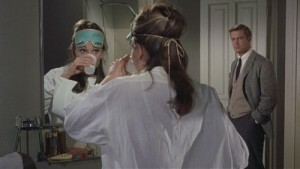 Breakfast at Tiffany’s was generally well-received at the time, and currently holds an 87% fresh rating on Rotten Tomatoes. 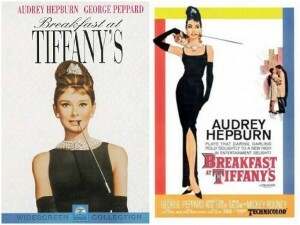 Capote, however, was unimpressed with Hepburn in the main role – he apparently wanted Marilyn Monroe for the part. The film is also a much glossier, happier version of the book, and overshadows much of the original despair. 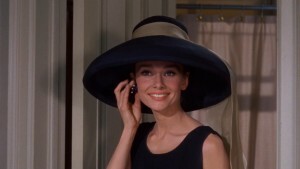 Despite this, Breakfast at Tiffany’s remains an utter joy to watch, and is a glamorous, humorous and much smarter take on the rom-com genre compared to so many of today’s offerings. Paul: Holly, I’m in love with you. Holly: I’m not going to let anyone put me in a cage. Paul: I don’t want to put you in a cage. I want to love you. Holly: It’s the same thing. Next ArticleInterview: Emmy-Winner Hunter King from "A Girl Like Her"